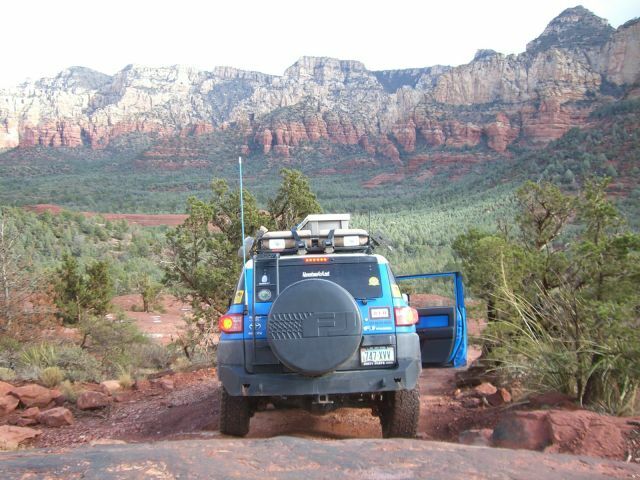 Greasy Spoon is a bumpy trail that has the typical spectacular Sedona views and several fun steep incline/decline areas. - As of this review I've only done a portion of the trail. 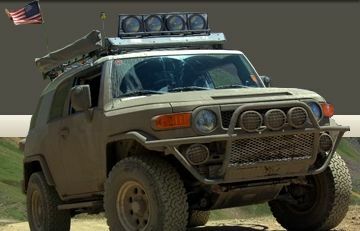 From what I've been told everything beyond what you see in the trail pictures and kml file is flat easy going terrain. We only did the "fun" parts on this trip. The full trail to much longer. I'll update this post with new info when I have the time to finish it. Someone please correct me if any of this is incorrect. 2.5 - As always highly subjective, but I felt the steep incline/decline areas warranted 4x4 a must. 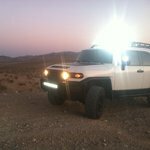 My mostly stock FJ had no problems with this trail. 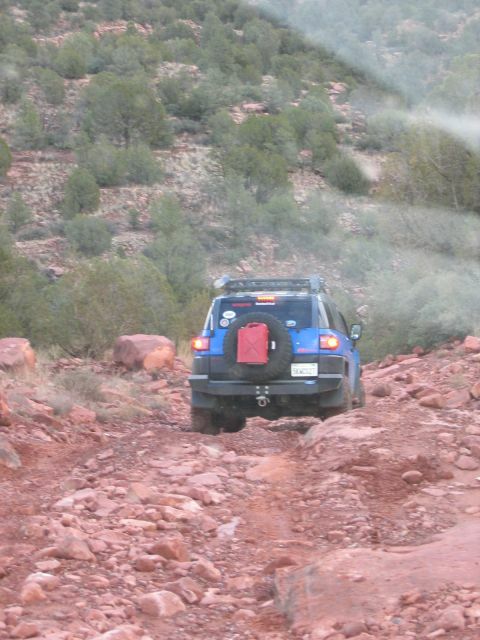 My trail armor rubbed a few places I had fun in, but other stock vehicles didn't have any issues with clearance. I'm not sure what the full length of the trail is, but the portion we ran was about 3 Miles from the point at which we turn off of Red Canyon Rd to the point which we turned around (the end of the fun stuff). 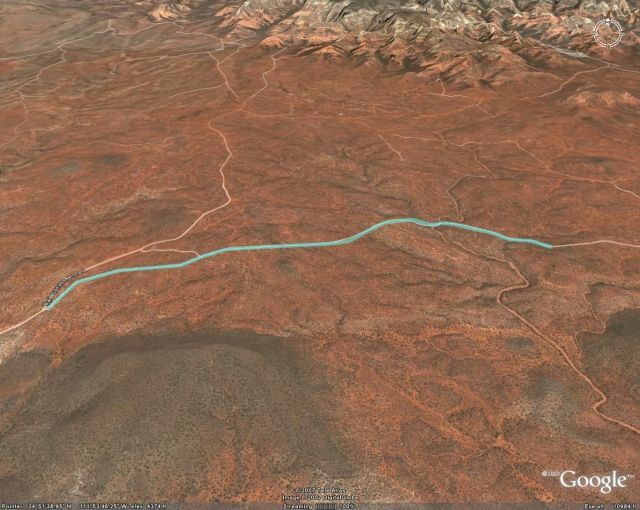 Greasy Spoon starts 2.7 Miles from 89A off of Red Canyon Rd in Sedona, AZ. See google maps link below for starting point. 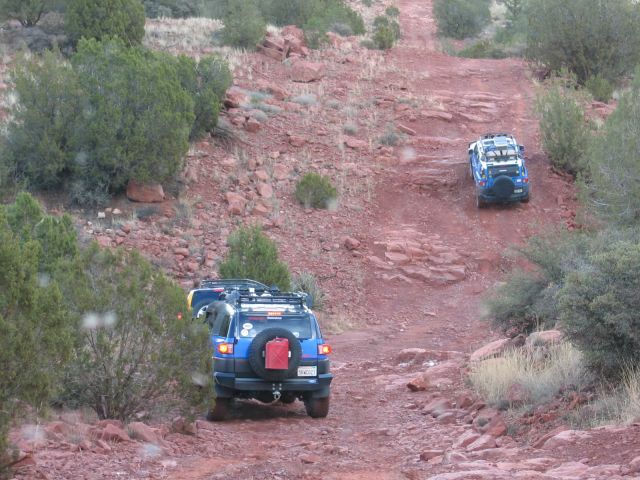 Most of the Trail looks like this and isn't difficult, just bumpy. Several portions of the trail do have steep incline/decline areas with steps. Very nice! I have not done this one... I love Sedona!!! It's dry, and there's no snow! 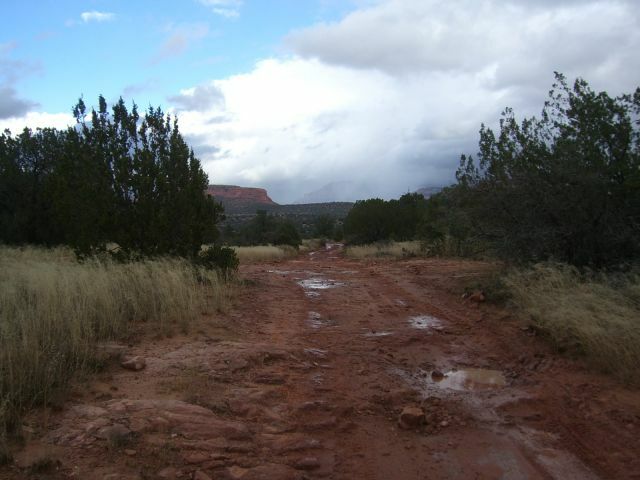 I haven't been to Sedona yet at all... let alone for a trail run. This one looks great! It snowed RIGHT after we left greasy spoon. Check the sedonafest gallery you'll seen plenty. That's a much better file format you're using for the .kml, much lighter. I need to change mine! FYI the newest version of garmin mapsource TOPO will open tracks directly in google earth and then you can save them in KML from there if you want. It may be light due to my older garmin 120 and the fact that I've never changed the settings on it. I have a Magellan unit that uses a crazy # and $ delimited text file format... I was converting the files either with my own program or with GPS Babel but was including heading, speed, altitude, time, date, etc data on every single point instead of just the lat/long for the track. Nice pics, looks like a good time...! Ran it today. Lots of interesting hill climbs and descents. Saw a ton of Pink Jeeps. Fun trail. Actually used 4 Low for parts of it. 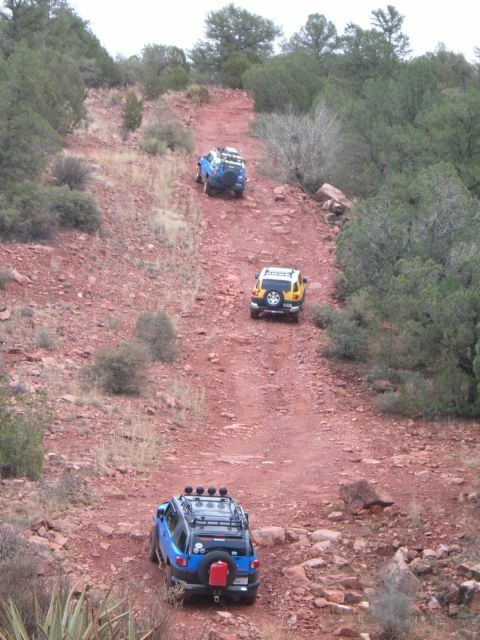 We hit this trail on Saturday with all of the rain and mud. It was a great trip. My sister and nephew didn't care for it though, so we didn't get to hit Soldier Pass and Broken Arrow. I was bummed about that, but this trail was all sorts of fun on its own! Did this trail sunday and had a great time with our group. The locals call this Diamond Back Gulch by the way, maintained by the Red Rock guys, one of my favorite trails next to Crack Axle Canyon. Anybody been on this trail recently? Considering running it this Saturday as I'm burned out on broken arrow for now. I have about a 2-2.5" lift with factory skids. I have plenty of wheel travel though and rolling on 33-34" mud terrains.